Stitch and stuff a furry friend with a touch a personality! Everything you need is included in this kit including super soft faux fur and beautiful pre-cut patterns. 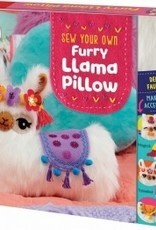 Give your llama extra drama by customizing it's expression and adding a variety of trendy accessories to complete the look. 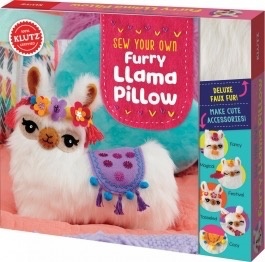 With this activity kit you'll have a super fluffy, furry pet llama in no time. It’s SEW "llamazing"!